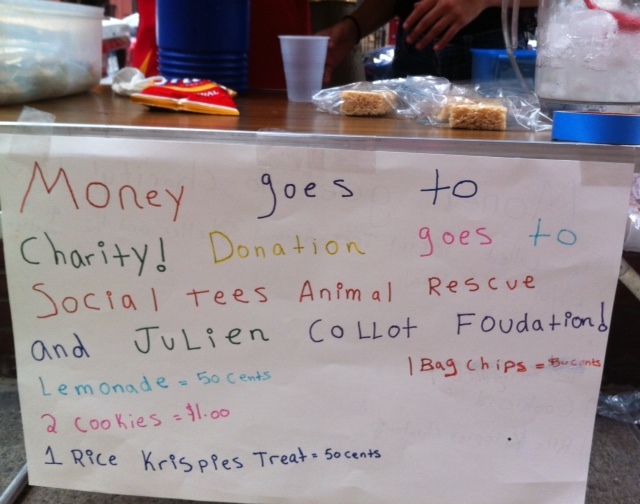 This entry was posted in Uncategorized and tagged charity, kids, lemonade stand, New York City, One Good Deed. Bookmark the permalink. We love a lemonade stand, too! Just finished your book, and have recommended it to friends and family. Next time you stop through Providence, wave and say hi! HA! I was just going through Providence when you posted this! Hiiii! Thanks for the kind words about ONE GOOD DEED! Next time let me know ahead of time and I’ll wave back! I saw the review, Erica, and I thank you very much! (Passing through Fall River, by the way).